Picture this: It is March 11, 2015, and Marquette, with a conference record of 4-14, has just laid a 22-point beatdown on Kevin Willard’s Seton Hall team in the #8 vs. #9 game of the Big East Tournament. 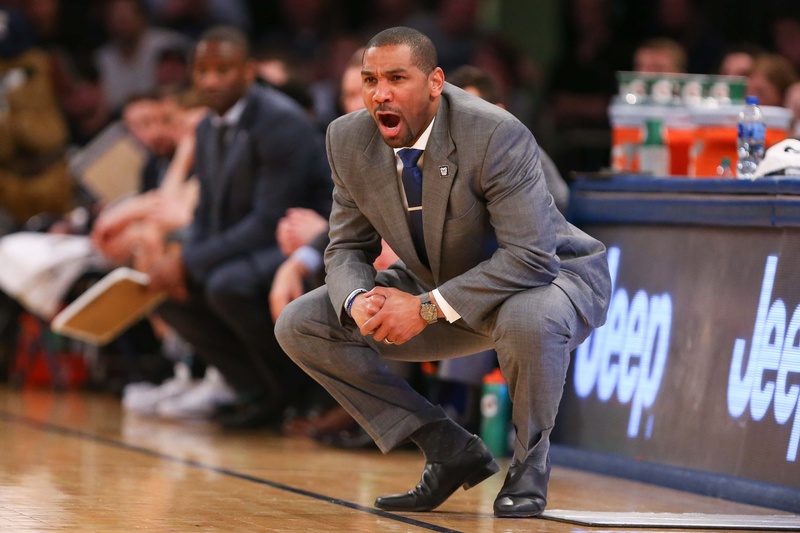 Marquette would go on to lose to Villanova by 35 points the following afternoon and Seton Hall fans are not happy. 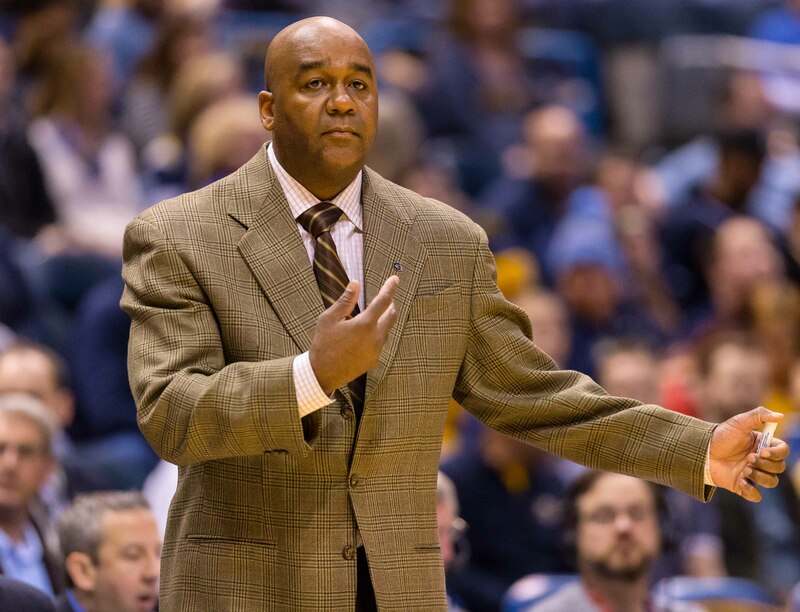 Local media and message boards are calling for the head coach’s ouster after five seasons at the helm (without any NCAA Tournament appearances), and Willard even experienced some in-person heckling from Pirate fans the night before. After all, the fans have just witnessed a once promising season that began with a top 15 recruiting class and a 13-3 record crumble to bits in epic fashion as locker room tension destroyed a young and immature team. What would become of that dysfunctional group of freshmen that lost nine of their last 10 games to end the 2014-15 season? 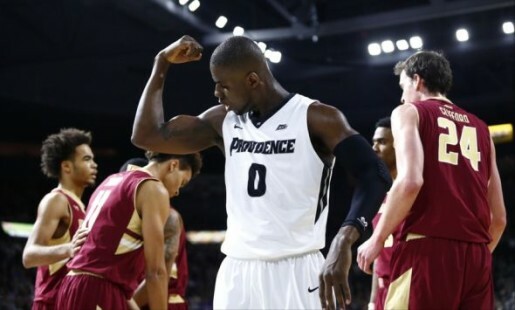 Exactly 1,000 days later (yes, really), Willard is in the midst of his eighth season in South Orange and those freshmen (minus Isaiah Whitehead, now plying his trade with the Brooklyn Nets) have blossomed into talented seniors. 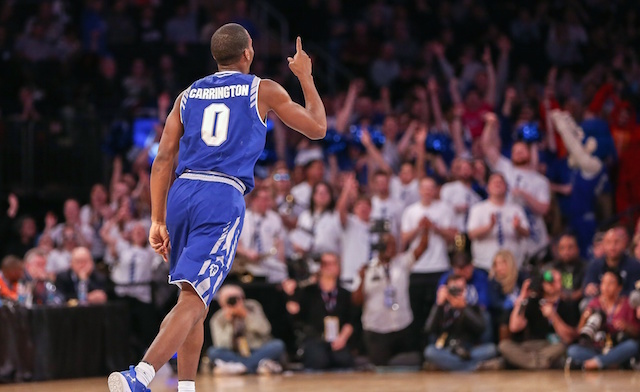 Three of those seniors — Angel Delgado, Desi Rodriguez and Khadeen Carrington — form the only active trio of 1,000-point scorers in college basketball. The Pirates are coming off two consecutive NCAA Tournament appearances and a 2016 Big East Tournament championship run (two feats not seen since the P.J. Carlesimo era of the early 1990s) that included consecutive wins over top-five opponents for the first time in the program’s 114-year history. Willard’s experienced Pirates stand at 7-1 and are ranked 19th nationally following a week in which they won at No. 17 Louisville and defeated No. 22 Texas Tech at the very arena where the program hit rock bottom nearly three years ago. The win at Louisville was Seton Hall’s second true road win against a ranked ACC team in program history, and to date this season, the Pirates are one of only two teams to have recorded four non-conference wins against power conference teams (with three of those coming away from the Prudential Center). The other team? That would be No. 1 Duke. Did the tempo get to Seton Hall? Arkansas came into the game as the team most likely to favor an up-and-down contest. With a first half played at 39 possessions, Kevin Willard wisely used his bench to give each starter at least five minutes off the floor before halftime. Halfway through the second half, the Pirates spurted to an eight-point lead, but could not maintain it. 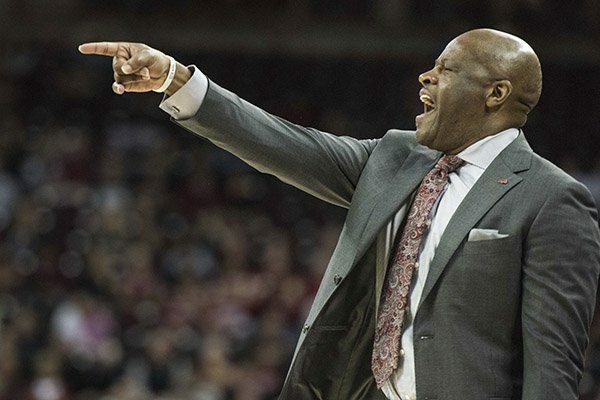 Down the stretch, Arkansas looked like the fresher team and Seton Hall made sloppy mistakes that tired teams often make. After halftime, Arkansas turned eight Seton Hall turnovers into 14 points. And the key play of the game was also a mental error–the flagrant foul called on Desi Rodriquez that gave the Razorbacks a huge late advantage. 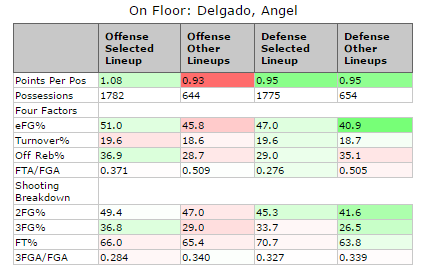 Arkansas is not good at defensive rebounding. For the year, the Razorbacks rank among the worst 30 teams in the nation on the defensive glass and they played true to form today. 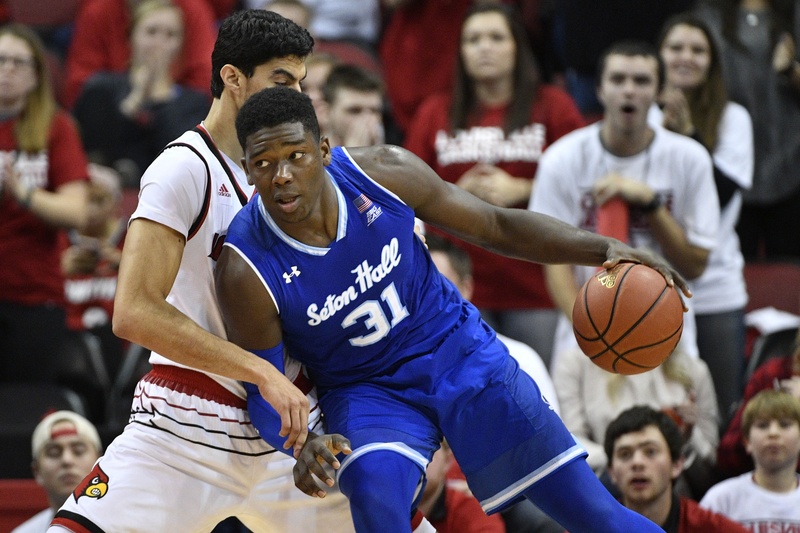 Seton Hall snagged 21 offensive boards to make up for a poor shooting performance from the floor and keep the game close. Fortunately for Arkansas, the Pirates only turned those rebounds into 14 second chance points. So the positive for the Razorbacks is that their second shot (and sometimes third shot) defense was good. 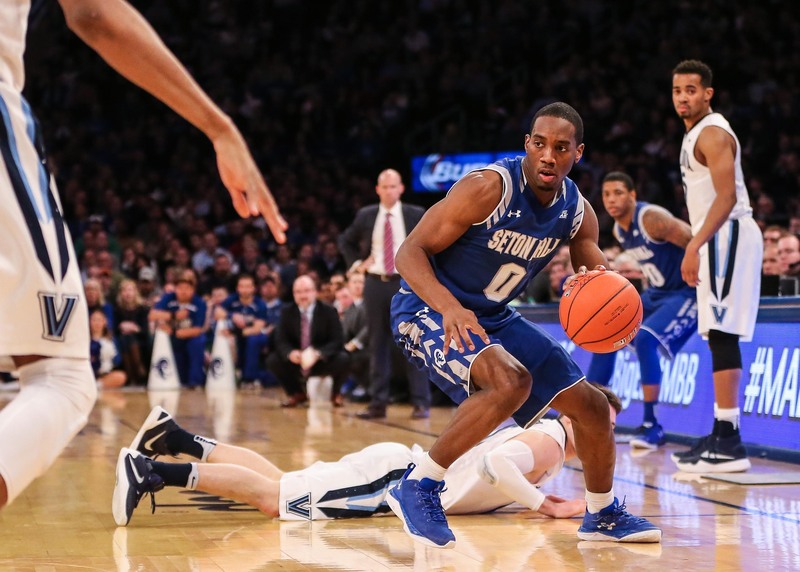 Seton Hall’s shooting tells the tale. The Pirates have not shot well for much of the season and they struggled to put the ball in the basket again today. 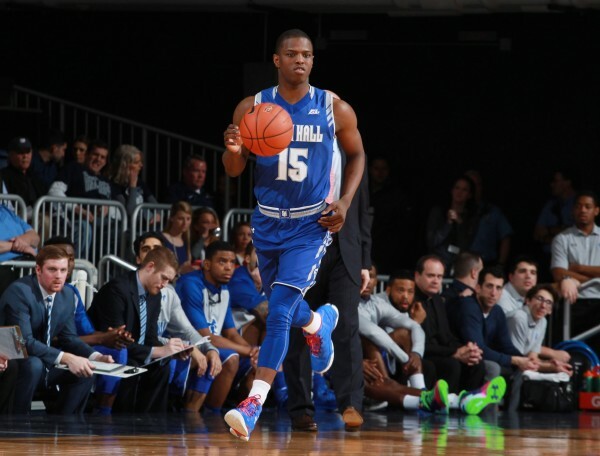 Seton Hall was ineffective from everywhere – making only 39 percent of its twos, 35 percent of its threes, and just 62 percent from the foul line. Khadeen Carrington was the only Pirate that could make shots for much of the game as he finished with 22 points on 8-of-17 shooting.